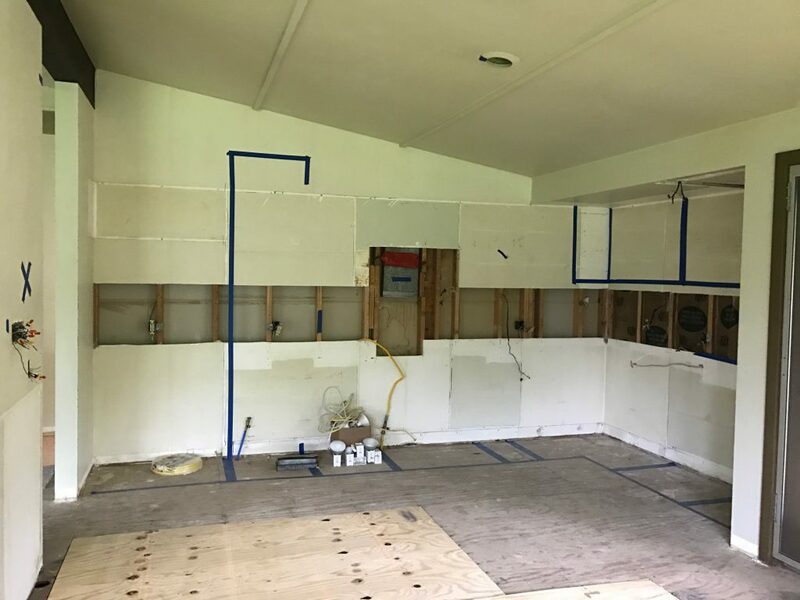 This homeowner was a repeat customer. 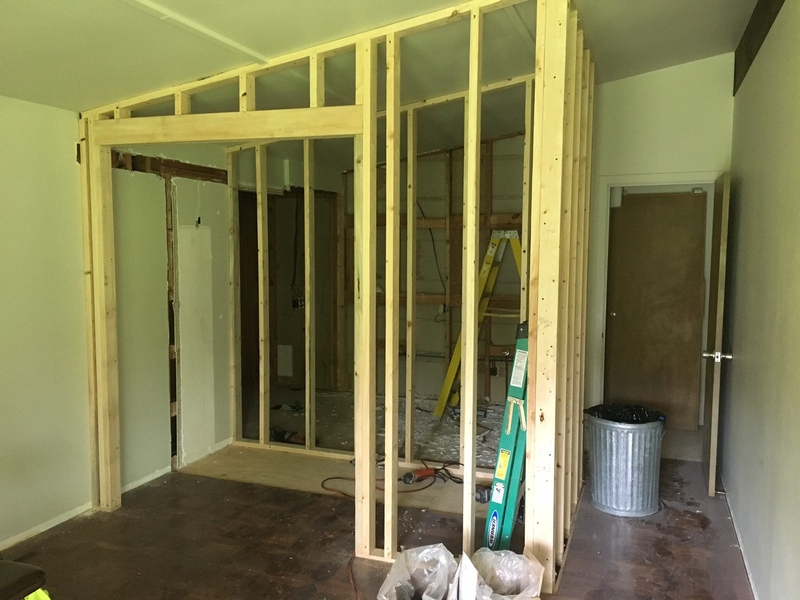 She completed a large remodel throughout the house. 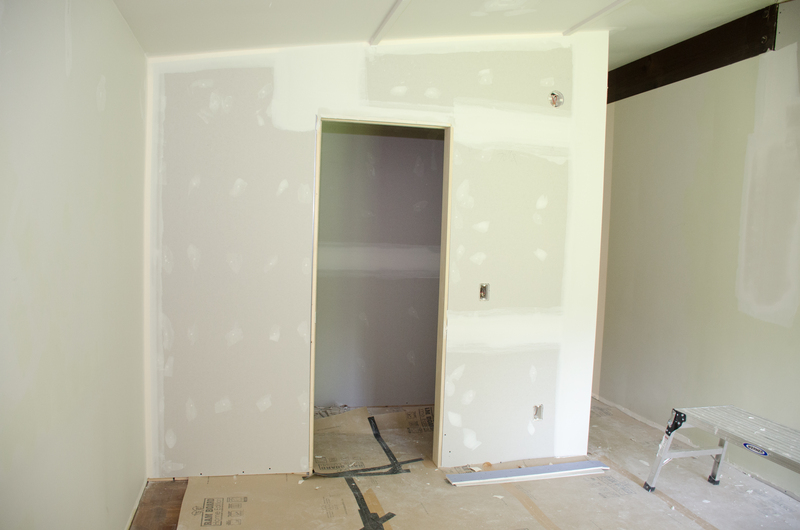 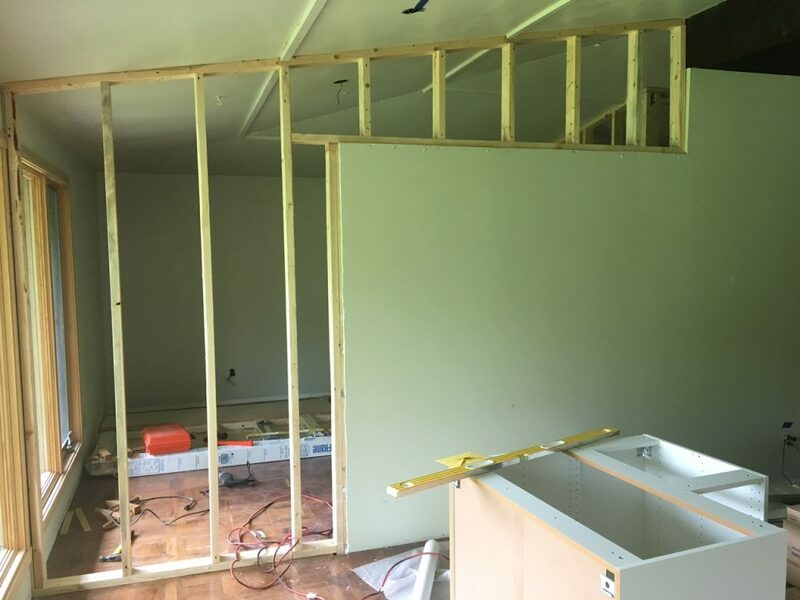 Our job was to patch all of the holes with plaster, hang sheetrock for new walls, and address some shifting of the current ceiling. 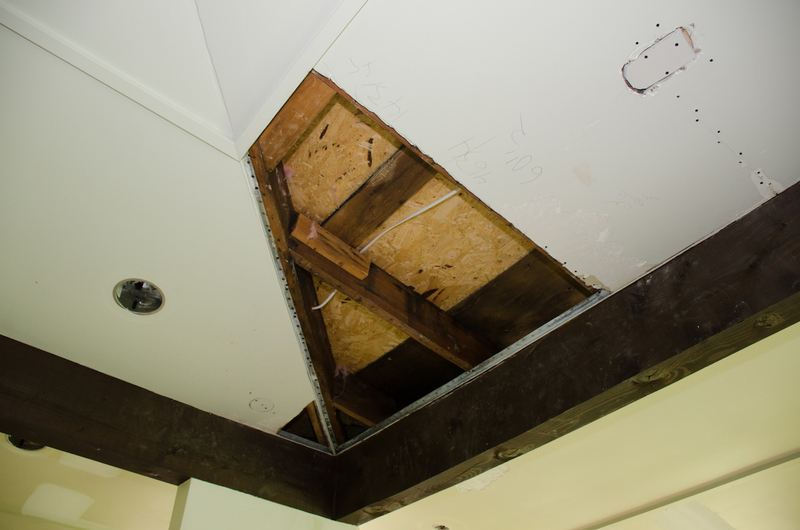 The sloped angles of the ceiling proved to be tricky, but we worked with a local architect to ensure the client had a solid solution. 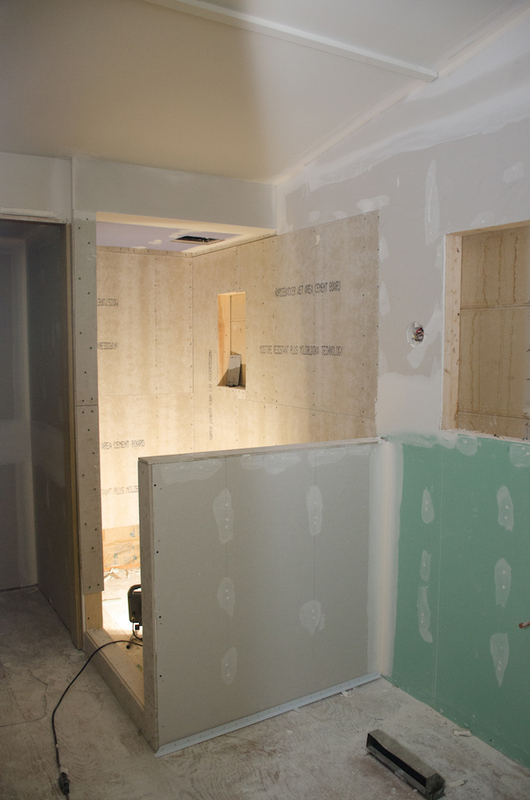 Our new plaster work flows seamlessly with the original walls from over 50 years ago. 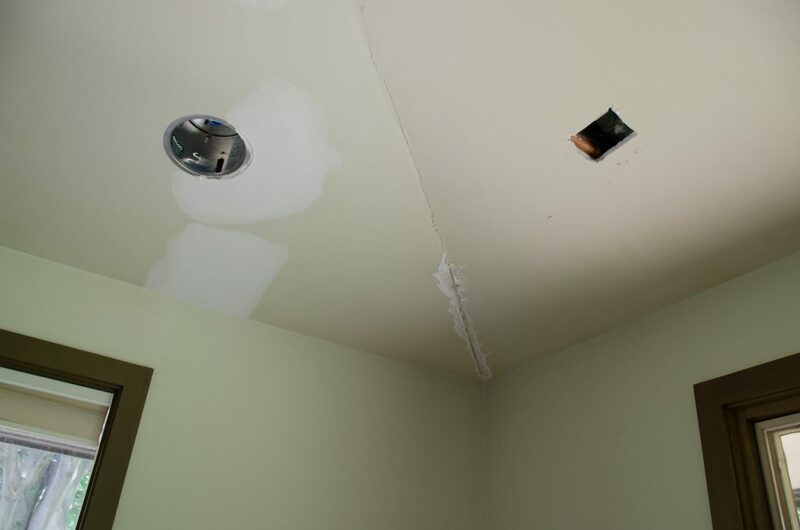 Cracked angle on a sloped ceiling. 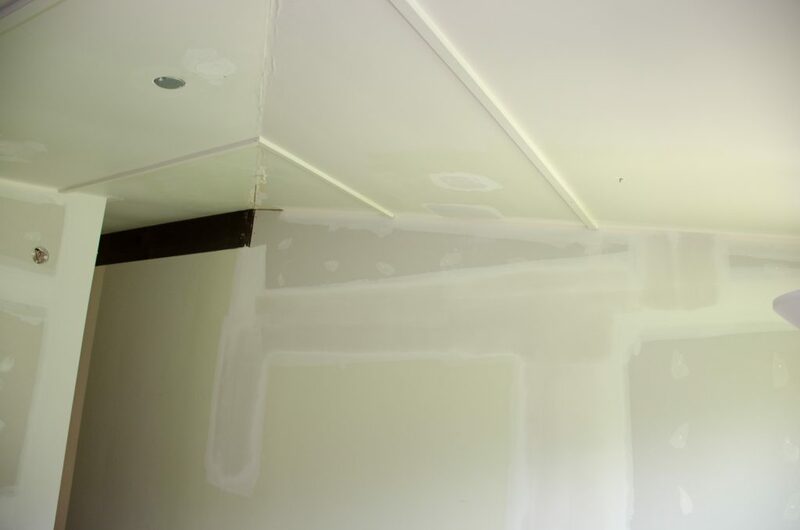 We cleaned out the joint and repaired adjacent plaster. 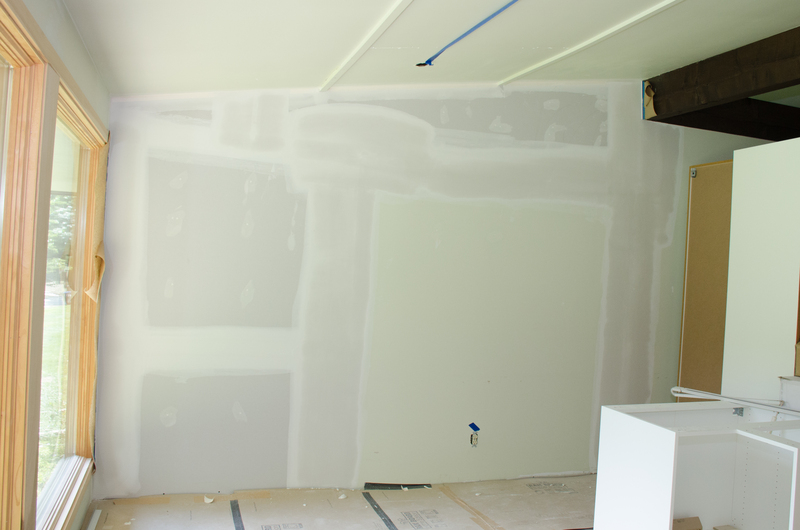 Wall was extended on top and married with the existing plaster. 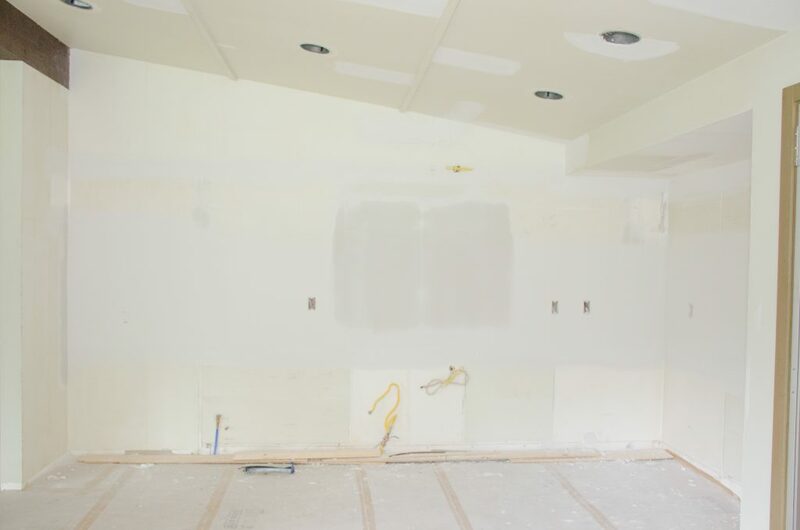 We had to shim the drywall in order to ensure a flush installation. 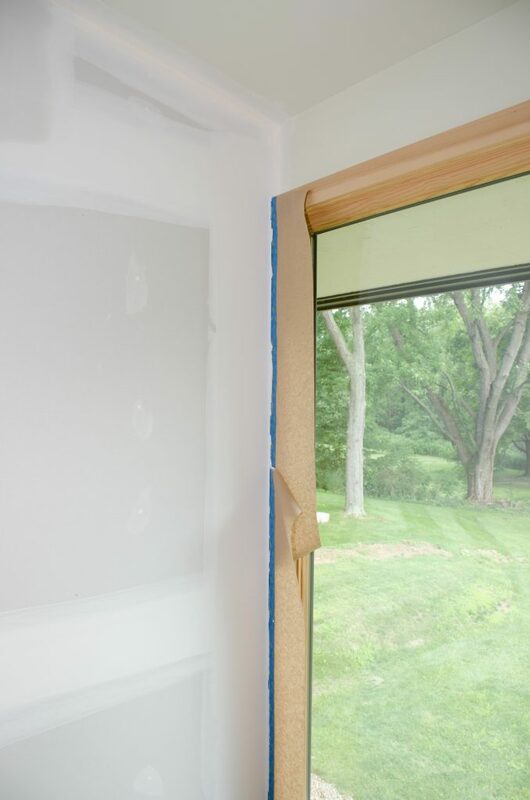 Mended plaster wall to the opening of a large window.